Address:28F, World Trade Center, No.25, Tongxing St., Dalian China. Shipping is an important part of the global trading system. In recent years, the United States, India, Canada, Singapore and other countries have successively issued trade compliance guidelines, and updated cross-border shipping rules. “China’s external cargo throughput has ranked first in the world for many years, and companies need to take precautions against maritime-related sanctions.” Chen Fang, compliance manager of Hainan Shipping Co., Ltd., said in an interview with China Trade News that the US Treasury Department is overseas. The Office of Asset Control (OFAC) recently issued a notice of deceptive shipping violations, including forgery of vessels and cargo documents to cover the destination of oil transportation; and concealing goods by ship-to-ship (STS) cargo transfer Origin or destination; close the Automatic Identification System (AIS) to hide the destination of goods destined for Syria, Iran and other countries. In this regard, Chen Fang suggested that the company establish a customer screening system to screen the transaction targets to ensure that the transaction targets are not individuals and entities sanctioned by the exporting country. In addition, the energy, shipping, and shipbuilding industries that trade with sanctions countries, local port operators, who provide services to sanction energy, shipping or shipbuilding industries, provide significant financial, material, technical, and service support to local activities in the sanctioned countries. People are facing related risks. 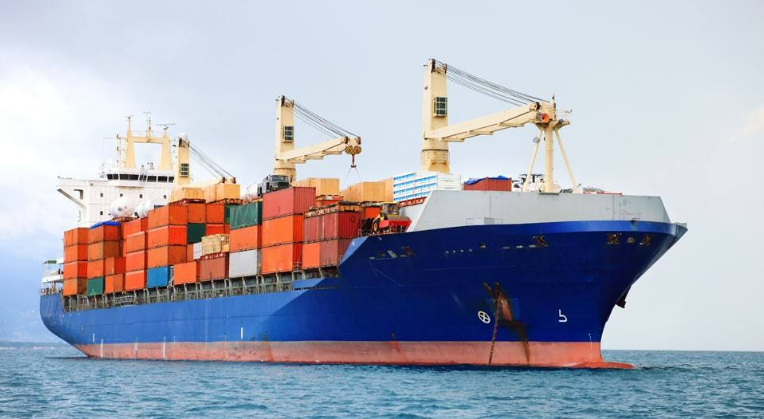 Eric A. Sohn, Dow Jones Risk and Compliance Products Director, believes that foreign trade companies can take the following three steps to better guard against shipping trade compliance risks. First, check the cargo ship. The United States, the United Nations and the European Union have listed blacklists of ships that require different levels of additional review. In addition to reviewing the parties to the transaction, it is also prudent to review the relevant vessels used to transport such goods (including sanctioned commercial aircraft), which may also have regulatory consequences for the business. Strengthening due diligence is not just about reviewing sanctions blacklists. OFAC's North Korean shipping announcement shows that merchant ships flying the North Korean flag sometimes modify the ship to cover up its identity and attempt to impersonate other ships. Modifications include painting on the ship's name and the International Maritime Organization (IMO) number. Therefore, the review of the vessel name, IMO number, radio call sign and the failure to register a cargo ship at the Standard International Ship Registry should be strengthened. Second, check the goods. The identification of controlled goods is extremely difficult, and these goods are technically high and classified (such as the minimum diameter of the specified nozzle) and are too general. In addition, most countries do not require that the goods be described in SWIFT (Bank Settlement System) messages or on a bill of lading. In addition, the system code is not specific enough to reduce the false alarm rate to a minimum, and it is very difficult to identify the controlled goods. At the same time, military-civilian dual-use goods are also the focus of compliance review, and some of them have high risk of exporting dual-use goods. Companies can review all historical shipping document documents to determine which goods are dual-use or military cargo and include such goods in the cargo screening system. You can also seek a cargo database on the market to help inspect, use commercial trade names (producer/product names) to identify controlled goods, and obtain information on sanctioned ships, cities and ports. Finally, check the route. Ports where corporate vessels are docked may affect international trade compliance. Even if the port of call is a temporary stop that is limited to refueling services, the presence of a cargo ship in a sanctioned port can have serious consequences. To ensure that the shipment does not stop at the sanctioned port, the company needs to have a port database (including the standard port code specified in the UN Trade and Transportation Location Code), plan the proposed shipping route (including all ports of call), and ensure that the vessel is on the actual route. Tracking capability (trackable to the AIS answering machine signal from the vessel). Route tracking not only includes the identification of sanctioned ports, but OFAC's recent North Korean shipping announcement focuses on the transfer of goods between sea vessels. The bulletin even provided a schematic diagram indicating which areas of the cargo transfer between ships occurred. If the cargo ship seriously deviates from its intended route and closes its own AIS transponder for a long time, or is located near the restricted area in the OFAC announcement, the vessel's trade transaction is likely to be temporarily revoked. "The rules of shipping trade of various countries are constantly changing. Chinese enterprises must not only learn from the experience of their predecessors, but also master the latest shipping rules of exporting countries." Chen Fang said that it is necessary to actively build a trade compliance system and identify risks of trade violations. And take countermeasures to ensure that they continue to make predictable export plans, thereby reducing shipping trade compliance risks.